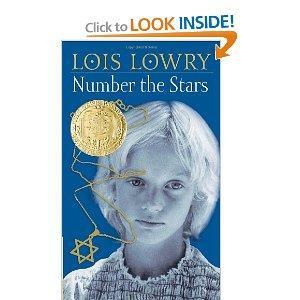 Number the Stars is the first book by Lois Lowry to win the Newbery Award, and it continues to be a favorite novel for young readers. While Number the Stars chapter summaries can give you insight into the story, they can't touch the experience of reading the book. Lois Lowry has great skill in creating memorable characters that are quite believable, which makes the episodes in the book all the more intense. Number the Stars is a story that focuses on a family in Denmark that is determined to help a Jewish family to reach safety while under Nazi occupation. The Johansen family help the Rosen family by taking in their daughter, Ellen. The reader takes the perspective of the a 10 year old, Annemarie Johansen, who demonstrates deep friendship to Ellen. Although Annemarie is not the narrator, the reader looks at the dark events through her eyes. The book opens with a scene in the streets of Copenhagen where three girls Ellen Rosen, Annemarie Johansen and her younger sister, Kirsti. Two German soldiers stop the girls, and warn them not to run. The girls reach the Johansen's apartment to find Mrs. Johansen and Mrs. Rosen talking. Food is scarce because of rationing, and the girls are hungry. They have to take a new route to school from now on. The next chapter takes readers into the world of fairy tales as Annemarie begins to tell Kirsti a bedtime story about kings and queens. Annemarie's thoughts go to her older sister, Lise, who had died in an accident a few years ago. Lise's fiancé, Peter Nielsen, is still unwed and remarkably serious despite his young age. The chapter paints a gloomy picture that parallels a dark fairy tale itself. Kirsti loses a button from her coat, and goes to a local shop owned by a Jewish family to have the coat fixed. The girls find that the store is closed, and a sign written in German is in the window. Peter explains that many stores owned by Jewish families are being closed. Annemarie becomes concerned about the Rosens. The Nazis have a created a list of Jews in Denmark, and they may come to take them away. Annemarie's family decides to take in Ellen and pretend she is one of their own. Ellen's parents go into hiding. Soldiers search the Johansens' apartment, demanding to know where the Rosen family is. They interrogate the family. They ask why Ellen has dark hair while the other girls are blonde. Mr. Johansen shows the soldiers baby pictures of his daughters; Lise's hair was dark. Annemarie realizes that her father sometimes talks in code to keep the family safe, and to keep the girls from getting scared. Mrs. Johansen takes the three girls to Gilleleje, and stops at the house that she grew up in during the trip. The foursome visits Uncle Henrik, who lives near the ocean. Annemarie tells Ellen that she has hidden her Star of David necklace in a safe place until it is safe for her to wear it again. Henrik tells Annemarie that Great-aunt Bertie has passed away, and a funeral will be held in the home. Annemarie knows that there is no Great-aunt Bertie, but she doesn't say anything. Annemarie confronts Uncle Henrik about the existence of Great-aunt Bertie. Henrik explains that it is sometimes easier to be brave when you don't know everything. The family continues to prepare for the mock viewing. The phrase "number the stars" is introduced in this chapter during a mock mourning ceremony for the fictitious great aunt. Soldiers arrive, demanding to know why there are so many people in the home, and why the casket isn't open. Mrs. Johansen states that perhaps the casket should be open even though the aunt had died of typhus. The soldiers leave without opening the casket, but not before hitting Mrs. Johansen for her sarcastic remark. Peter reads a psalm that contains the phrase, "who numbered the stars one by one." Number the Stars summaries of the first ten chapters should be enough to inspire you to read the story, and to encourage kids to read it as well. You can find more summaries, as well as details about each chapter at Spark Notes. It's common knowledge that books tend to be far better than the movies they inspire. Chapter summaries can tell you about a story, but they fail to tell you the whole story. Lowry's mastery of fiction immerses the reader in the book. 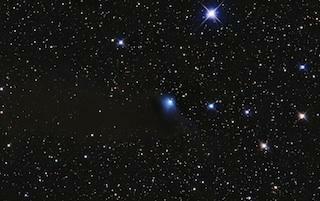 Follow reading the book with Number the Stars activities that deepen the experience.